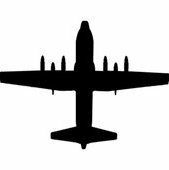 Had 2 reports yesterday that a new Herk was test flying out of Marietta. One said for India, the other said for Saudi. Anyone know who it is for? c/n 5780 is for Saudi Arabia. It is the 2500th C-130. c/n 5779 is also for Saudi. BTW we always disagree with Lockheed on the number produced because Lockheed says they did not build c/n 5048 N82178, and c/n 5055 N8213G and c/n 5056 N8218J, my guess is contracts with the spooks. So lockheed is officially claiming 2500? BTW we always disagree with Lockheed on the number produced because Lockheed says they did not build 5048 N82178, and 5056 N8213G and 5056 N8218J, my guess is contracts with the spooks. Interesting... I was not aware for their denial. Seems like they would have given them c/n's that were not sequential to the rest. I was told that 5780 was number 2500. I am not sure if this includes the YCs, L-100s or the three that bob mentioned above. I'll try to do a count when I have a free minute. How are you going to count that. Just c/n numbers starting at first c-130a? From Bob's list. A-233, B 230, E-493, H-1085, L100-118. That totals 2159 including the two YCs and the three bob mentioned. 5780 is the 346th J and that would make a total of 2505. Minus the three Bob mentioned above and the two YCs that would make 5780 the 2500th by Lockheed's count. 5777 would be the 2500th by Bob's count (the correct count). To reduce confusion, I corrected my errors in the above post and deleted my/your other posts. Thanks for straightening me out. 3208 KC-130J c/n 5779 and 3209 KC-130J c/n 5780 both for 32Sqn. Moody got 13-5782 today. Lockheed is calling it 2500th "delivered". Not 2500th built but delivered. We also got 12-5773 today. That's what really matters to LM....delivered, which means they got paid. And a pay check to all the employees trying to make a buck.